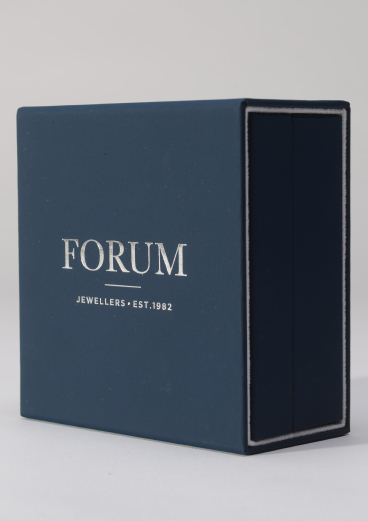 We first met Dorset-based independent jewellers, Forum, at the annual IJL show. 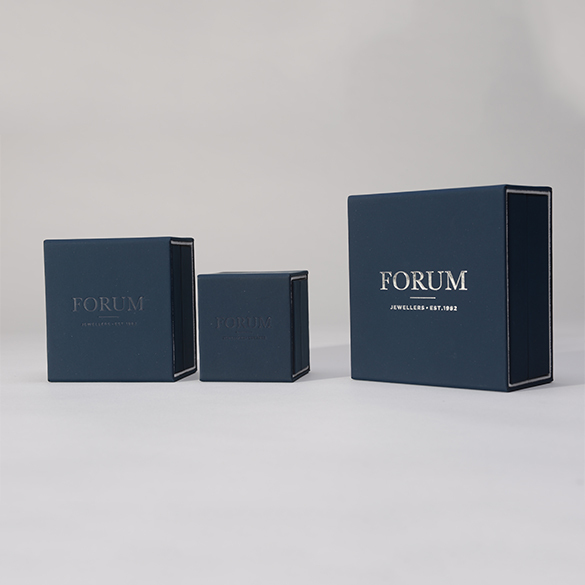 We were briefed to create a new bespoke packaging range, high on innovation and reflecting Forum’s recently updated brand identity. 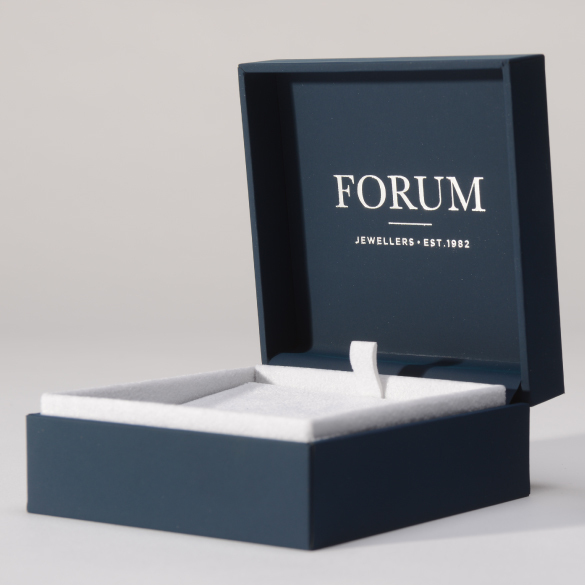 Understanding Forum’s box usage and price points were key factors in creating great looking, commercially viable box concepts that reinforced the brand’s luxury positioning. The end result was a premium hinged box with a soft touch, dark blue exterior and white suede interior, finished with a premium hard sleeve. 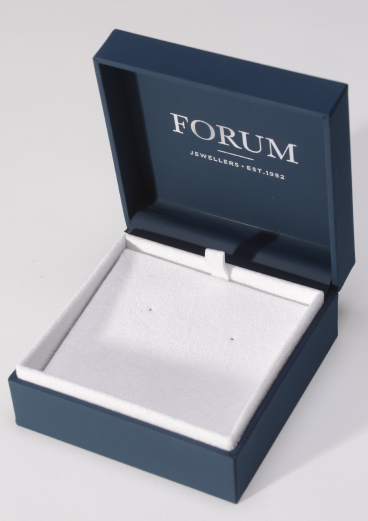 We calculated a universal size that would accommodate the widest range of Forum’s jewellery. 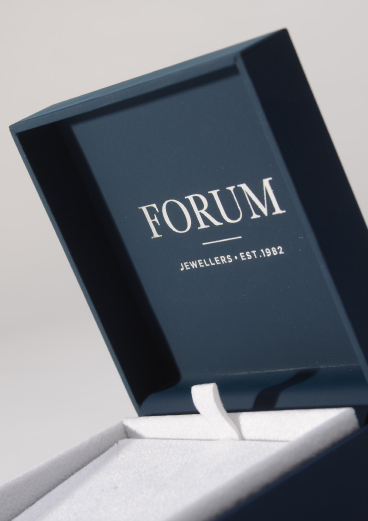 Five months on from our original meeting and thanks to our open and to our collaborative design process, we delivered on time and on budget and created a lasting partnership with Forum.